As I’ve mentioned in previous posts both here on Onalytica’s blog and on my own blog, events can be powerful milestones around which to map your Twitter influence and engagement strategy. But what happens after the lights have dimmed and the floors of that proverbial event hall are being swept? Does that vibrant conversation have somewhere to go so it can continue? Well, that’s one of the opportunities reflected in the data around the #Women4Climate tag. Following lots of buzz around the launch of it during the December 2016 C40Cities event came very little. And, again in mid-March 2017, a great buzz and lots of Twitter support for that important climate action leadership conversation. How will the #women4climate curation and influencer conversations continue to move forward now, to build upon itself until the next event? As I noted in an earlier post, renewable energy looks to be one such topic where those in the #women4climate stream are connecting between events. That’s not surprising, given these leaders tend to be focused on climate action in cities, where clean energy is of the utmost concern and needs loud support. 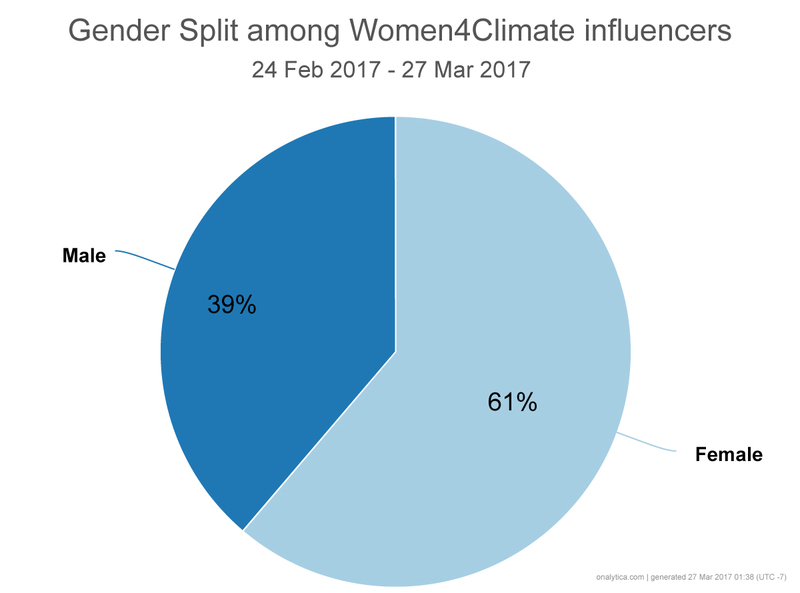 Also, worth note, is the #Women4Climate influencer gender balance. Where conference panels and corporate boards so often have to be very careful to get more women leaders involved, this Twitter conversation has an ironic twist. #Women4Climate will be most likely to thrive if it does NOT devolve into solely a “women’s conversation.” Even with best intentions, how we frame, narrate or “brand” topics that are meant to celebrate leadership can be problematic. The goal is to forward amazing thinkers who happen to be women without making it “girly” We don’t have time for lightweight substance in any climate action call, so how can #Women4Climate be the wisest leadership focus for ALL? In order to identify the social influencers and brands we started by extracting over 17K tweets tweets from 22nd December 2016 – 21st March 2017 mentioning the key words: #Women4Climate. We then added these tweets and accounts into our database, categorized and curated a top 100 list of influencers and brands ranked on a combination of the 4 R’s (Resonance, Relevance, Reach and Reference). These accounts were then added into Onalytica’s Influencer Relationship Management software (IRM). What can we learn from the data links and how strong the connections are? It makes sense that the line (connection) between Mayor Anne Hidalgo and C40Cities is thick (she is the Chair of C40). And, of course, organizations are often the entities that launch new tags during events. But, how do we get beyond influencers “preaching to the choir” of other influencers in this case? Those already involved in the #Women4Climate conversation should start to look outside their strong ties (thick lines) in order to grow the voice and strength of the global community. Individual leaders on the peripheries on this map for example, can step up to monitor and engage with the tag to keep the flame burning. Why bother? 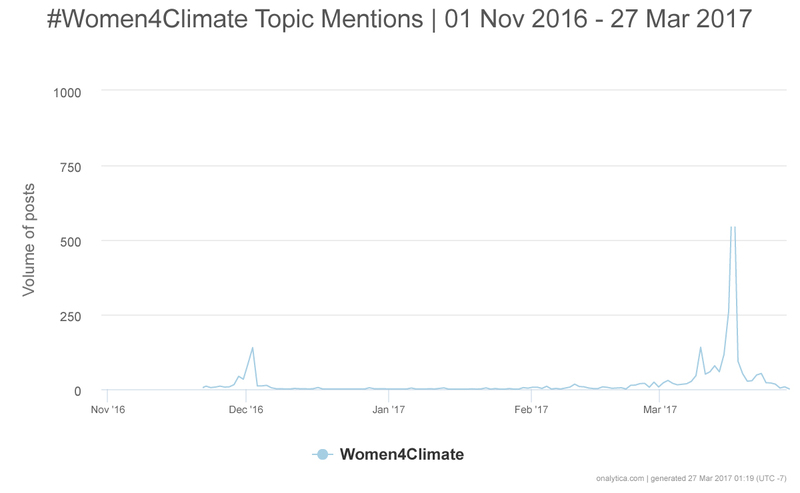 Whether with regard to #Women4Climate or any other cause-amplifying tags, communities that are built around a topic should be building stronger platforms all along the way – never returning to the flat line of the between-event graph (like the one at the top of this post). 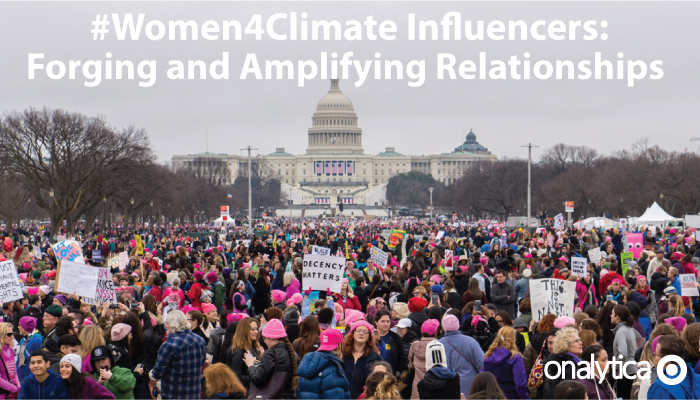 The cumulative power of the #Women4Climate influencer conversation is kindling for developing great climate action change – through a focus on, and celebration of, women leaders in cities. Why would we not do all we could to keep that fire bright? Andrea Learned is a climate action-focused writer and strategic communications consultant helping business and nonprofit influencers develop authentic, high impact, leadership platforms. Andrea’s expertise in understanding the women’s market (she co-authored Don’t Think Pink, which published in 2004 ) lends her writing work – for HuffingtonPost, her own blog, and many other publications – deep insight into the potential for women, especially, in sustainability leadership roles today. 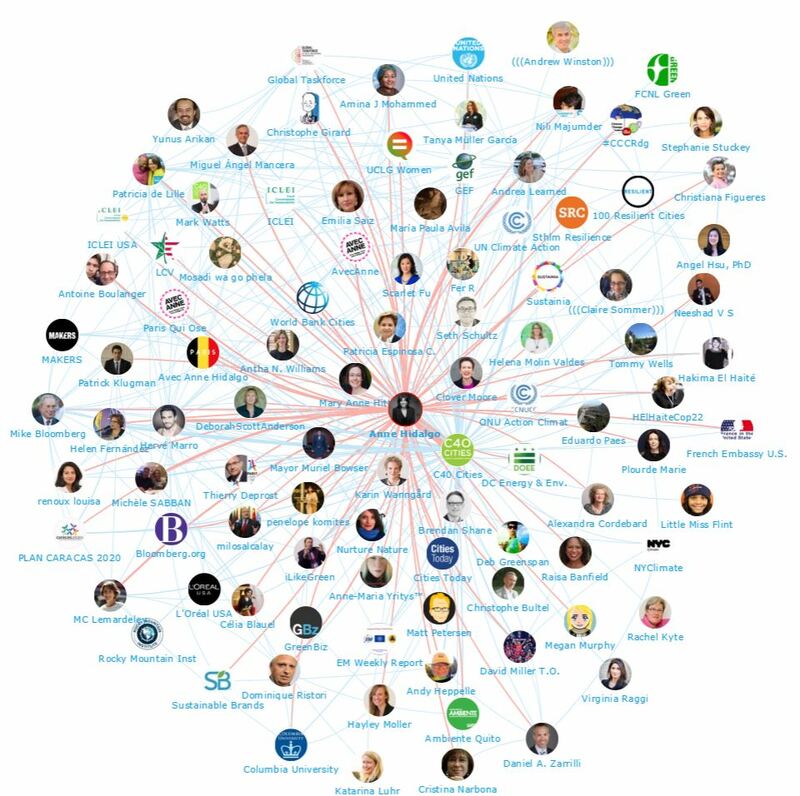 Below is a list of the top 50 influencers talking about #Women4Climate on Twitter. If you want to see who ranks from 50-100 be sure to download the full report by clicking the download button below! Here is a list of the top 50 brands talking about the League of Legends World Championship on Twitter. If you want to see who ranks from 50-100 be sure to download the report to get the full top 100 list! Disclaimer: As ever with these lists, it must be stressed that the ranking is by no means a definitive measurement of influence, as there is no such thing. The brands and individuals listed are undoubtedly influential when it comes to driving discussion around robotics.